Age: 29, climbing since the age of 10. Talking to Said about climbing and his life on the road is interesting and intense. Said has spent most of his grown up life traveling and climbing around the world and he has had plenty of time to look on the experience of climbing from more than a performance perspective. The severe finger injury he suffered a couple of years back has only made it more clear to him what an important role climbing has in his life. The man IS motivation! Most of the questions my questions to Said gets two answers. First the standard answer for the interview. Then the second, philosophical answer where he constantly returns to the core of climbing for him: freedom. When did you first go climbing in Spain? The year of 2000. I was living in Aix-en-Provance in France and I took the train to Catalonia in the northeast of Spain. Since then I have climbed at least once a year and between 2 weeks and 5 months in Spain. Single best wall is Bruixes in Terradets. 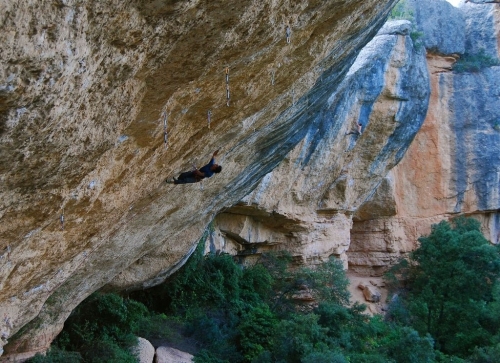 Margalef and Rodellar are amazing areas and of course all the small areas north of Lleida. I look forward to going back to Oliana with cold temperatures, there are some amazing looking routes there. Do you train in a particular way for the routes in Spain? This spring I spent 3 months training really hard, about 10 sessions a week, to build up endurance and strength after my finger injury. I specifically trained two finger pockets and lock-offs on a system wall. Do you have a trainer? No, not just one person. The people that I meet and the people that I talk to all inspire me and help me create my personal schedule. Though I must say that for this spring it would be interesting to try something new and get help from a good trainer, maybe from outside the world of climbing. I also take a break of two to four weeks every winter to get a mental and physical rest. Sometimes but not on a regular basis. Competition has a lot of rules, rules that people also try to impose on outdoor climbing. I don’t disagree on any of this but I was on the national team for 10 years and these days I prefer to focus on the freedom of climbing on rock. Do you feel a pressure to perform for your sponsors? I climb for me and I climb with my friends. I am of course perfectly aware of that as a sponsored climber I make a living of promoting my sponsor. If I don’t perform, I don’t make headlines. And without headlines I don’t promote my sponsors. This is a fact. Despite this I’m never really affected by this kind of pressure. One of the things that I look for in climbing is being absolutely on my limit on a hard and beautiful climb. When I send these climbs, I normally make headlines. Right now I’m working on a fantastic 9a route in Perles. I can’t wait to try it again! 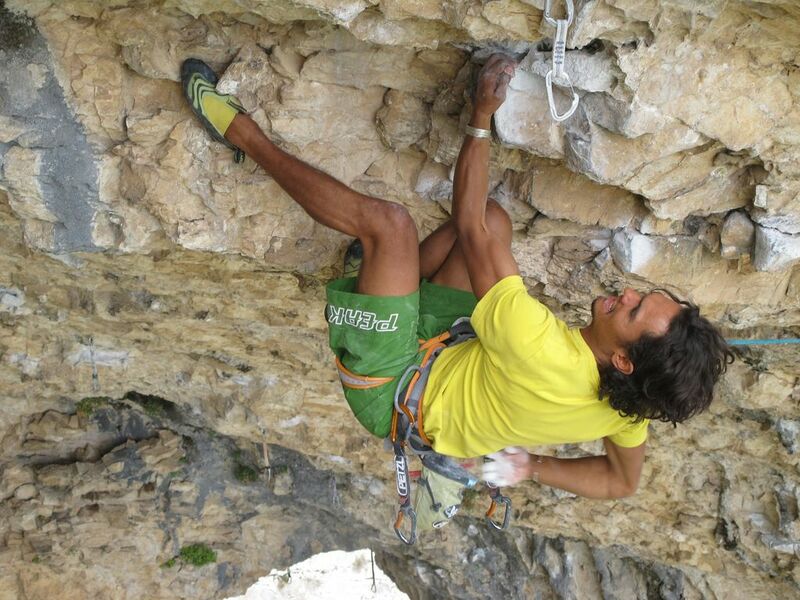 Who is your favorite Spanish climber? Dani Andrada is unique. He IS climbing passion! Not only does he always climb but he also works hard for the whole climbing community. He finds new climbing areas, puts up loads of routes, talk to land owners and works on guidebooks. I have spent many months climbing with him and living in his house. He is a a good friend and a hero. Recommended rest day activity in northern Spain? And finally, when will you move to Spain? I have asked myself this question for 10 years now, maybe I should make a decision soon?